Trey Cochran-Gill does not have any MLB stats for the season. Draft: 2014, Seattle Mariners, 17th rd. April 12, 2019 RHP Trey Cochran-Gill assigned to Midland RockHounds from Stockton Ports. July 3, 2018 RHP Trey Cochran-Gill assigned to Stockton Ports from Midland RockHounds. April 2, 2018 RHP Trey Cochran-Gill assigned to Midland RockHounds from Stockton Ports. 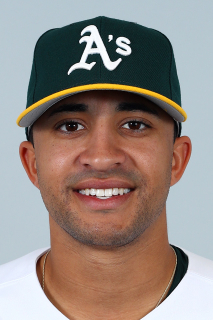 March 19, 2018 RHP Trey Cochran-Gill assigned to Oakland Athletics. September 26, 2017 Stockton Ports activated RHP Trey Cochran-Gill from the 7-day disabled list. May 22, 2017 Stockton Ports placed RHP Trey Cochran-Gill on the 7-day disabled list. May 19, 2017 RHP Trey Cochran-Gill assigned to Stockton Ports from Midland RockHounds. April 6, 2017 Midland RockHounds placed RHP Trey Cochran-Gill on the 7-day disabled list. December 1, 2016 Oakland Athletics invited non-roster RHP Trey Cochran-Gill to spring training. March 5, 2016 RHP Trey Cochran-Gill assigned to Oakland Athletics. December 9, 2015 RHP Trey Cochran-Gill assigned to Midland RockHounds. 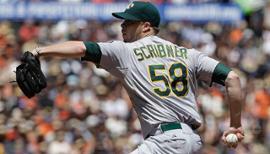 December 8, 2015 Oakland Athletics traded RHP Evan Scribner to Seattle Mariners for RHP Trey Cochran-Gill. August 17, 2015 Jackson Generals activated RHP Trey Cochran-Gill from the temporarily inactive list. August 13, 2015 Jackson Generals placed RHP Trey Cochran-Gill on the temporarily inactive list. May 12, 2015 RHP Trey Cochran-Gill assigned to Jackson Generals from Tacoma Rainiers. May 9, 2015 RHP Trey Cochran-Gill assigned to Tacoma Rainiers from Bakersfield Blaze. April 7, 2015 RHP Trey Cochran-Gill assigned to Bakersfield Blaze from Everett AquaSox. March 7, 2015 Trey Cochran-Gill assigned to Seattle Mariners. 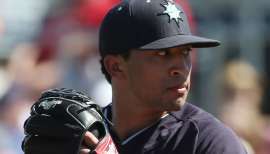 August 14, 2014 RHP Trey Cochran-Gill assigned to Everett AquaSox from Pulaski Mariners. June 16, 2014 RHP Trey Cochran-Gill assigned to Pulaski Mariners. June 12, 2014 Seattle Mariners signed RHP Trey Cochran-Gill.